Send us your complete finding, dental x-ray and write us the exact problem you’re experiencing as detailed as possible in order to speed up the diagnosis. After receiveing your e-mail we provide you a free dental quote of the possible treatments. Of course, the information you submit is treated with the greatest discretion. We will review the submitted material , and after a free online consultation we prepare a preliminary treatment plan for you according to your x-ray. This will help you to plan your journey ahead, the length of stay and the expected costs as well. After an appointment in order to ensure your Convenience of healing and the maximum comfort, we provide assistance according to the needs of airport transfers, hotel bookings, after treatment taxi or even chauffeur service. 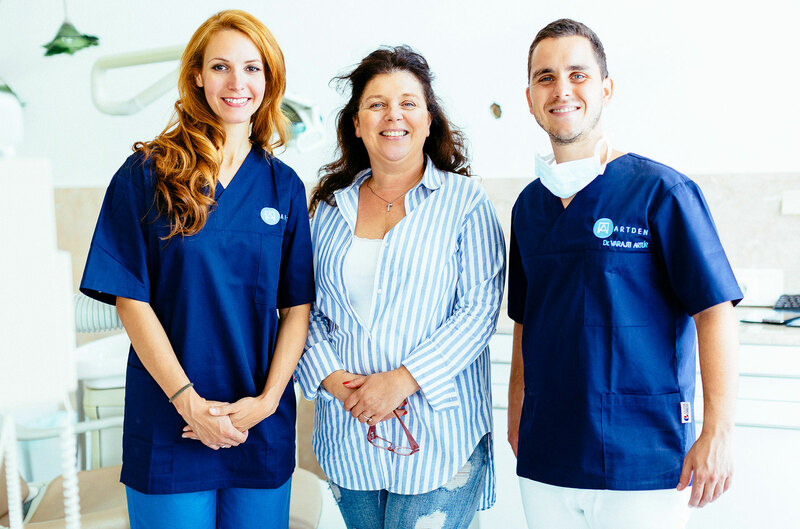 After the first dental examination we finalize your individualized treatment plan and we also give you detailed information regarding the treatment. Then we carry out the interventions of the treatment plan according to schedule. After the treatment, you will surely leave our dental clinic satisfied with a healthy and beautiful wide smile without any sign of previously experienced pain or long-delayed dental problems.